Medical Micro needling is a treatment that causes Collagen Induction Therapy, in which, the deeper parts of the skin are treated without removing the top layer of skin. It is designed to treat various skin conditions such as fine lines and wrinkles, light scarring from acne and photodamage, and to improve skin color and texture. 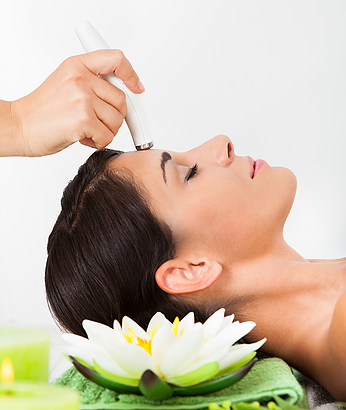 The Micropen use microneedling technique that provides micro injuries into the skin, which will encourage the body to re-grow and repair the skin through the normal healing and remodeling process. The micro injuries will release growth factors and the further cascade of new epidermal growth. Further wound healing will induce deposition of collagen and elastin, and other healing factors, after which tissue remodeling will occur with skin tightening. Stimulating the production of the skin’s own collagen and elastin, which are found more in the youthful skin, will give the skin a healthy glow and more youthful appearance. The body’s ability to heal itself is the concept of this great process. Common conditions treated include fine lines, wrinkles, acne, acne scarring, trauma scarring, stretch marks, and aged lifeless skin. Redness will occur for 3- 4 days. Specific skin products may speed the heeling process. The results will become more noticeable as the time goes by, and continue to improve for up to 5-6 months. Patients may need 2-4 treatments 6 weeks apart. More treatments may be needed depending on the condition of the skin.